sunshine and whimsy. : reframing my thoughts. It's not always sunshine and whimsy over here. I can be grouchy, grumpy, complain-y, etc. In fact, I'm those things way more often than I'd like to admit. I've been trying to catch myself though. Catch the nasty, negative, complain-y thought, and turn it into a positive, thankful thought. 1. 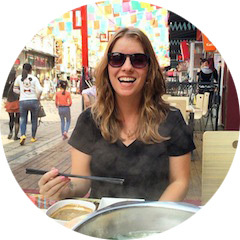 "I spent 7 hours on Sunday finding and booking hotels for our trip to Cambodia. My whole day was wasted!" "I'm very fortunate to be able to travel to other countries, and to be choosy about where I stay." 2. "Ugh. I have to make hummus tonight, or the vegetables are going to go bad." "How lucky am I to be able to afford fresh vegetables and choose to eat healthy snacks?" 3. "I wish he'd get up a few minutes earlier instead of sleeping 'til the last possible minute! Then he could be the one doing this!" - As I'm making the bed in the morning, worried about being late for work. "Woah. I could have got out of bed a few minutes earlier and then I wouldn't be stressed about being late. Plus, he always makes my second coffee for me." I really hope this doesn't sound "preachy." I just wanted to share something I've been thinking about lately. I'm in the midst of my usual seasonal blahs and it can be difficult to feel happy. 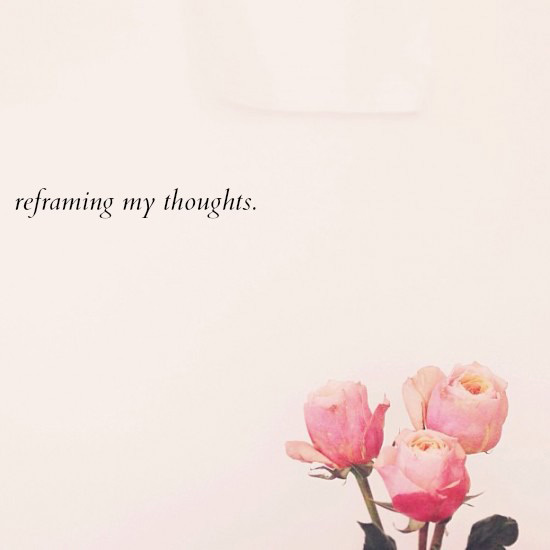 Trying (struggling, sometimes) to reframe my thoughts has been helping. That's great, Amanda! I think I could do with doing this myself sometimes- actually I have tried to do that a little bit recently. I don't think I can turn my grump about the pollution into a positive one though haha! Although really I should think about how I'm lucky to be able to choose to live in it or not.